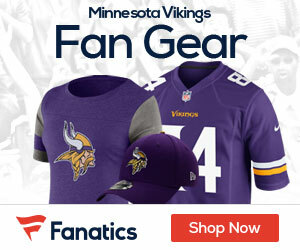 Could Tarvaris Jackson Be Released if Favre Joins the Team? Today over at the Minneapolis Star-Tribune, writer Judd Zulgad put up a pretty interesting thought about the Vikings getting Brett Favre. Zulgad wrote that if the team eventually gets Favre, the team may part ways with current starting QB Tarvaris Jackson. Zulgad wrote that he wouldn’t be surprised if Jackson was the odd man out in Minnesota if Favre joins the club. The scenario would see Sage Rosenfels be the backup this season and potential starter in 2010, with John David Booty slotting behind him. Jackson is entering the final year of his rookie contract and Rosenfels is under contract for three more years, and just received a $1.4 million signing bonus.